Imagine dieting and in the same breath you end up making a Chili Cheese Toast. Well that’s what happened this morning. Many things worked against me planning a proper breakfast. That only made me resort to the saver breakfast, something with bread. I decided on cheese sandwich, then seeing those tender green chilies from last nights Rice rottis, I remembered those delicious Chili Cheese Toast from one of Street shops that offer wide range of Sandwiches. These Sandwich wallas are famous for their many varieties they offer. The aromas that sniff past as you cross them takes you heaven. I remember once ordering these Chili Cheese Toast from them and couldn’t stop with just one. These were delicately wrapped in an aluminum foil, which made them soft yet crisp on sides and the succulent generous cheese spiced with green chilis are just enough to take you to the next level. When I made these some time back when my sils family visited us, I couldn’t get hold of them enough to take pictures. Moreover I had made with matured green chilies and couldn’t offer to the kids. As we now had tender ones which were not spicy at all, kids didn’t notice them at all when I added couple of them to their toast. I was planning on sending Jeera Pulao with Rajma Masala for Konda’s lunch. But after eating for breakfast, she insisted that her lunch be the same. Then Peddu had and it was the same request. Finally both of them carried these delicious Chili Cheese Toast for lunch and came back asking this to be sent again. Trim the sides of the bread. Place them on a plate, spread the grated cheese, finely chopped chilies on top. Press another slice over this. Grease the top with little ghee. Get the sandwich maker ready by pre heating it. 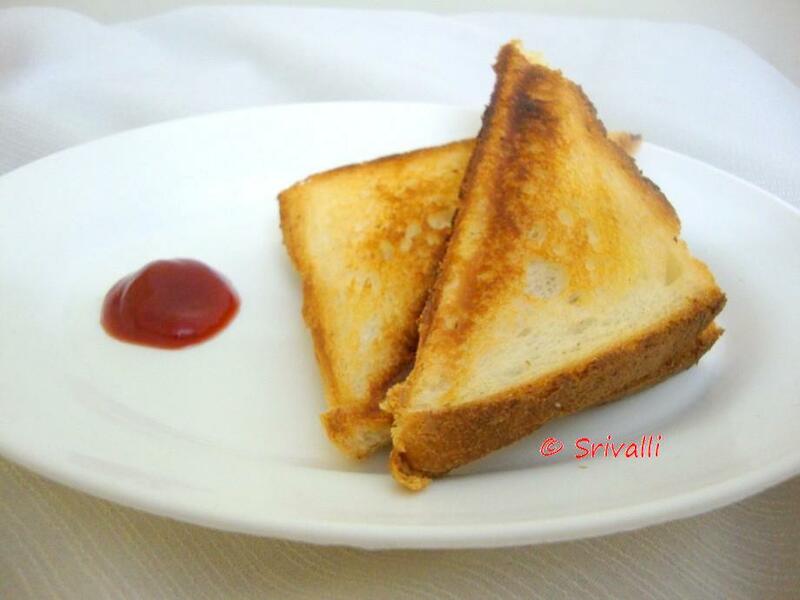 Then grease the top plate with little ghee, place the prepared sandwich on top, close down the lid. Grill till the light goes. Check if it is golden in colour, else keep it for few more minutes. Another one for my Kid’s Delight Event themed this month on Street Food. 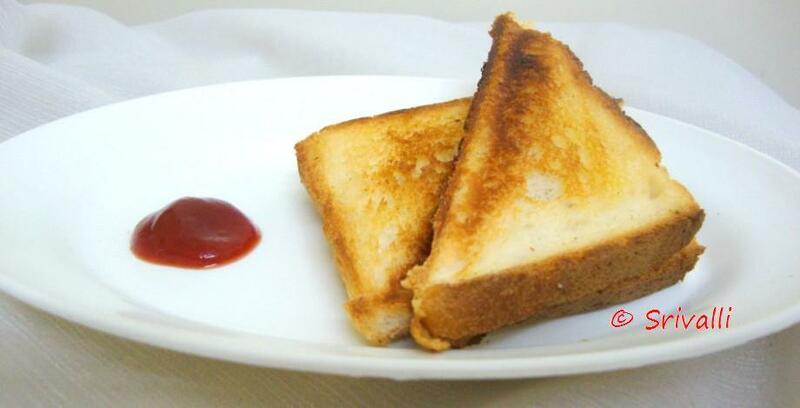 Very quick and yummy toast.. Simple things are best aren't they? So want a simple cheese sandwich right now and with that kick from chillies perfect! So cheesy and yummy, kids will love this. Do you accept non veg for your events? Simple yet sounds so delicious…. Love it! quick and easy fix for breakfast, lunch or dinner. I make it for lunch sometimes and add some onion, cilantro and tomato along with green chilies. after looking at this..I am missing my sandwich maker…I broke it!…:(can't find a new one..looks delish! good one. easy and handy recipe and loved my kids too.